About two weeks before I went to California for a women’s photography weekend I found myself on Craigslist eyeballing a listing for a Rolleiflex. I wanted to contact the seller about it, but it was expensive and I’d never even held a Twin Lens Reflex before. Honestly I didn’t even know much about what kind of pictures they take. But it was calling to me anyway. Then I remembered that I’m still paying for the fancy new DSLR I bought earlier this year. It’s a camera that I know, and it knows me, and what would I do with one of those old cameras anyway? That vintage look isn’t even how I shoot, I told myself. I haven’t shot a roll of film since I bought my first DSLR three years ago. I came back to my senses. When I got to the photography retreat my friend Tamar had turned up with a quiver of cameras, including a Yashica Mat 124G. It was my chance! From the minute I looked down through the waist-level viewfinder I was smitten. The viewfinder has an almost 3D feeling and the twin lens reflex reverses the image. It takes a little getting used to, turning left to pan right on a scene, but somehow it’s part of the intoxicating charm of the camera to do so. Tamar was nice enough to let me shoot a roll of her film but even before I had seen any of the images I knew I needed one of these cameras. Just the experience of shooting with it – slowly checking the exposure and composing each (square!) frame, checking that each is level and plumb, 12 images, and 12 only, per roll of film – is so viscerally different from shooting with my digital camera. It got under my skin. When I got home I immediately searched out eBay for a TLR. 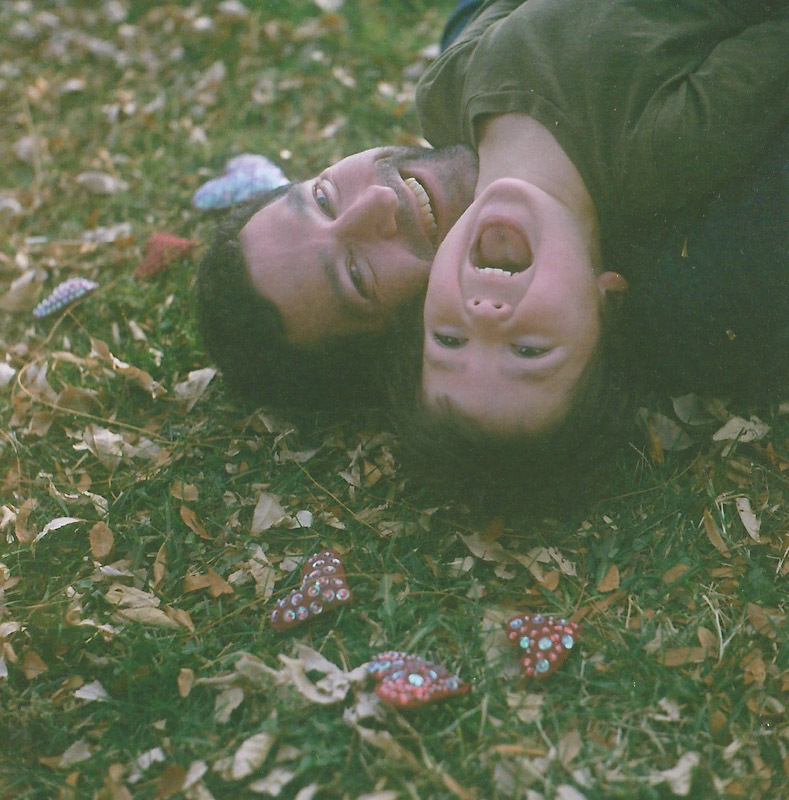 The first roll I loaded into my new camera was expired and I tested it out on my husband and son the same day we shot our family Christmas card. Because my old Pentax sits collecting dust on the shelf, I had forgotten the enjoyable anticipation of waiting to pick up film from the lab. But as I leafed through the pictures I felt a little giddy. Something about seeing the picture, finished and with no opportunity to further edit, feels like a surprise and an accomplishment. I thought the picture might even be beside the point, so enjoyable was the shooting itself, until I started getting back more film. I’m slowly getting to know the camera, and just as significantly, the variety of film available. I’m delighting in the grainy, noisy imperfections of some of the black and white I’ve shot, or puzzling over the contrast levels in others. I tend to shoot into the sun a lot with my digital camera, since I know how it behaves and I can check the display immediately to see if I exposed correctly. With this old camera I’ve shot a lot of unintentional silhouettes or overexposed the image so that the sun obliterates my subject. But it’s brought a feeling of mystery and spontaneity to my shooting and helped me take a break from thinking about how I shoot. 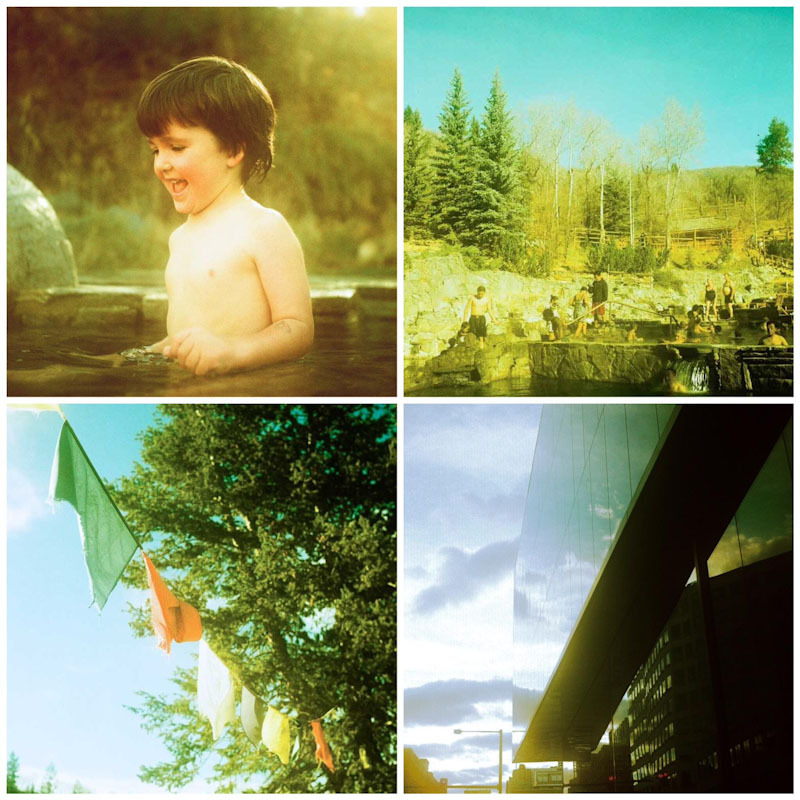 For the first time ever I shot a roll of slide film and sent it off to be cross-processed. The results were so deliciously lo-fi and so, well, real that I got butterflies in my stomach. It was like magic. In my digital life, I don’t tend to process my photos in a very film-look because, well, it’s digital and I wonder if I’m cheating. (This is only one of my many photo-neuroses.) But this camera invites me to loosen up, shoot things I wouldn’t normally shoot and think only about the act of shooting. It invites me to get out of my own way. And so I do, and I am, and I couldn’t be more excited. Has a new piece of gear ever helped you see differently? The talented Corinna Robbins blogs at Bird Wanna Whistle. You can find her on Flickr, too. I love this post! Describes my love for film as well. Your film shots are awesome! Thanks Staci! It is kind of freeing to have a chance to start fresh. So happy to be becoming part of the film community! I have been shooting film all year and haven’t had a roll cross-processed. Putting that on my to-do list stat! The colors in those images are spectacular! Debbie – I couldn’t believe how wonderful the effect turned out. It’s like Instagram, but a zillion times more satisfying. The turquoise of the sky is so intoxicating, right? Have fun! 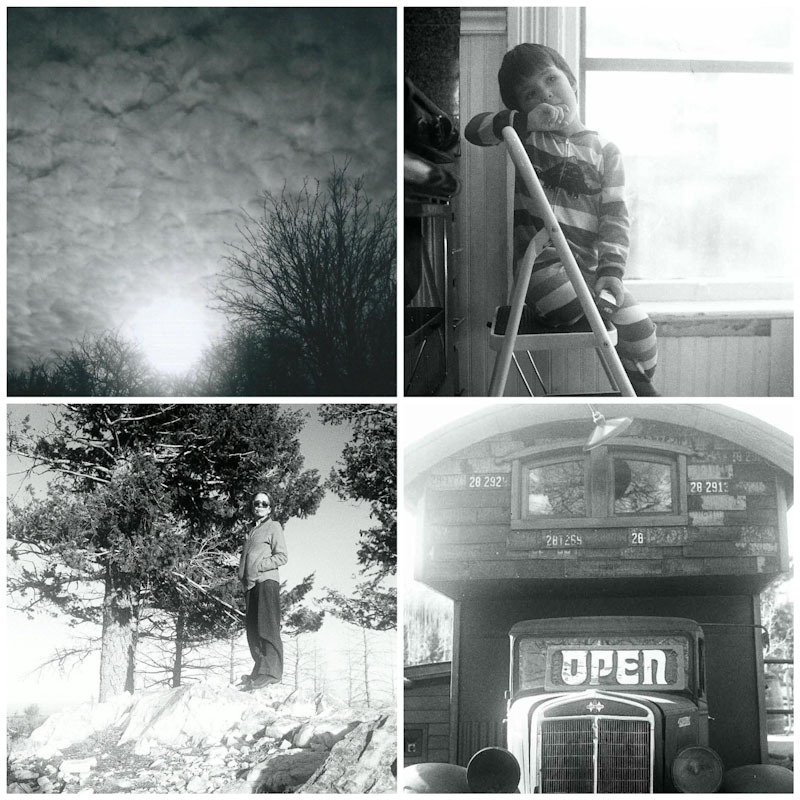 Gorgeous post – and thank you so much for putting into words exactly how I feel about film. Thank you Alison. I feel a little late to the party, but luckily all you ladies in the film community are so welcoming! Love all the straight lines and angles of the pj/window one because they highlight the organic roundness of that adorable face. Thrilled for you that you’re enjoying this new tool for your prodigious talent. I love your words almost as much as your photos. You are exceeding kind (and a fabulous model too)! Shooting with film cameras makes you a better photographer! Shooting with a TTV helped me see differently – I recommend to all. Thank you so much Maureen. I am excited to play more with this way of seeing. I find it strangely freeing! Your x-process ones are especially wonderful. I’d love to know which slide film you used and whether you purposely under or overexposed, knowing you’d be x-processing. and sent it off to the good folks at thedarkroom.com for cross processing. The pictures I took outside I exposed normally. The indoor pictures I took with that roll mostly came out dark, so next time I will definitely try to overexpose in lower light conditions. Maybe I’ll be back with another guest post after I experiment further! Thank you for the chance to post here – and mostly for the incredibly kind inspiration and support in all my photographic endeavors, but especially the analog ones. I totally feel your love for film from these. And I’m not surprised. They’re absolutely gorgeous. Thank you for musing with us! Thanks to you and Meghan and the rest of the Muses for the chance to play along here. The encouragement in this community is so beautiful. Wonderful post, Corinna! And those images are amazing, I really love the one of Tara. Beautiful! Hard to take a bad picture of Tara, right Kendra? beautiful post. thanks for joining us here today corinna! Thank you Christy. So honored to be here! Wonderful, I love this post!! I mainly shoot 35mm but I am now going to try to get to grips and practice with my medium format, feeling inspired. love this, corinna. looks like you’re getting that mojo back just fine! beautiful shot of the lovely tarawanders, too! xoxo.